Oulton is a small village situated north east of Aylsham. The church is some considerable distance from the village. The First World War Memorial is made of marble and is in the shape of a scroll. Private 200905. 1st/4th Battalion Norfolk Regiment. Killed in action in Palestine on 19th April 1917. Aged 20. Born Aylsham. Enlisted Norwich. Son of Mr. G. H. Barnard, of Oulton, Aylsham, Norfolk. Buried: Gaza War Cemetery, Israel. Ref. XXIII. G. 10. (CWGC & Gravestone spell as Fields). Private 23725. 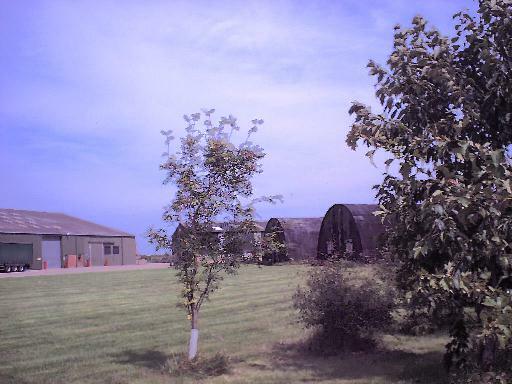 Depot, The Queen's (Royal West Surrey Regiment). Died on 20th April 1919. Aged 20. Son of Mrs. B. Fields, of Oulton. Buried: Oulton (Ss. Peter And Paul) Churchyard, North of Church. Private 41257. 2nd Battalion Essex Regiment. Formerly 30992 Suffolk Regiment. Died of wounds in France & Flanders on 10th April 1917. Born and lived Oulton. Enlisted Norwich. Buried: Aubigny Communal Cemetery Extension, Pas de Calais, France. Ref. I. L. 32. Serjeant 320082. 15th Battalion Suffolk Regiment. Formerly 1603 Suffolk Yeomanry. Killed in action in Egypt on 6th November 1917. Aged 26. 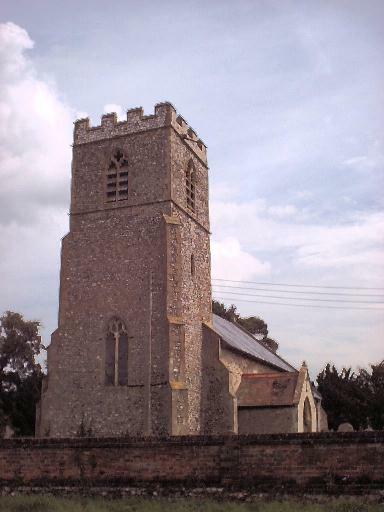 Born Briston, Norfolk. Enlisted Bury St Edmunds, Suffolk. Son of Robert and Mary Gay, of 18, Stracey Rd., Thorpe Hamlet, Norwich. Native of Oulton, Norwich. Buried: Beersheba War Cemetery, Israel. Ref. M. 53. Private 29303. 2nd Battalion Bedfordshire Regiment. Killed in action in France & Flanders on 20th September 1917. Aged 22. Born and lived Oulton. Enlisted Norwich. Son of George and Anna Golding, of Oulton, Aylsham, Norfolk. Commemorated: Tyne Cot Memorial, Zonnebeke, West-Vlaanderen, Belgium. Panel 48 to 50 and 162A. Private 20469. 1st Battalion Essex Regiment. Formerly 17026 Norfolk Regiment. Died in Gallipoli on 9th August 1915. Born and lived Oulton. Enlisted Norwich. Son of Sarah Ann Golding, of Hall Rd., Oulton, Aylsham, Norfolk, and the late Thomas Walter Golding. Buried: Alexandria (Chatby) Military And War Memorial Cemetery, Egypt. Ref. J. 133. Captain. 40th Battalion Machine Gun Corps (Infantry). Killed in action in France & Flanders on 22nd March 1918. Aged 21. Awarded the Military Cross and Bar. Son of Charles L. and Alice Graves, of Oulton Lodge, Aylsham, Norfolk. Commemorated: Arras Memorial, Pas de Calais, France. Bay 10. Rifleman 474024. 12th Battalion London Regiment (The Rangers). Formerly G/9352 3rd Royal Sussex Regiment. Died of wounds in France & Flanders on 2nd December 1917. Born Oulton. Lived Aylsham. Enlisted Cromer. Son of John and Harriet Hodge, of Oulton, Aylsham, Norfolk. Buried: Red Cross Corner Cemetery, Beugny, Pas de Calais, France. Ref. I. C. 11. Serjeant 202624. 10th Battalion Worcestershire Regiment. Killed in action in France & Flanders on 21st March 1918. Born Oulton. Lived Aylsham. Enlisted East Dereham. Commemorated: Arras Memorial, Pas de Calais, France. Bay 6. The Second World War Memorial is of brass in a wooden frame. Able Seaman C/SSX 19447. H.M.S. Ivanhoe, Royal Navy. Died on 1st September 1940. Aged 21. Foster-son of Laura Stearman, of Oulton, Norfolk. Commemorated: Chatham Naval Memorial, Kent. Column 35, 2. Special note: HMS Ivanhoe was mined and sunk in the North Sea off Texel, Holland on 1 September 1940. Flight Sergeant (Air Gnr.) 1180518. 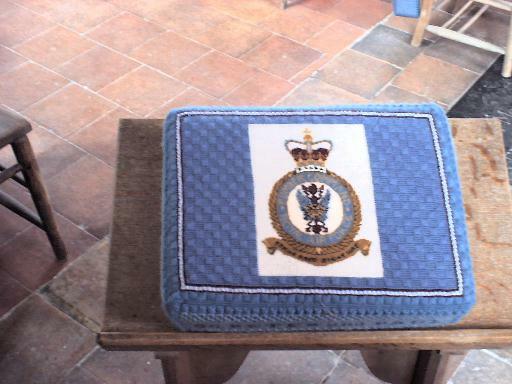 178 Squadron Royal Air Force Volunteer Reserve. Died on 15th August 1944. Buried: Krakow Rakowicki Cemetery, Poland. Ref. Coll. grave 1. A. 2-7. Probably: Sapper 1873099. 22 Fortress Company, Royal Engineers. Died between 8th and 25th December 1941. Aged 29. 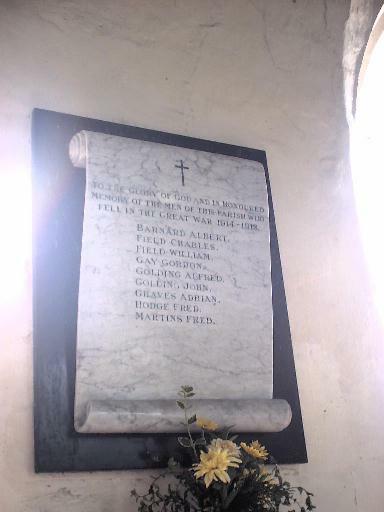 Son of Lottie Reed, of Itteringham, Norfolk, England. Commemorated: Sai Wan Memorial, China. Column 8. Probably: Sapper 2076234. 251 Field Park Company, Royal Engineers. Died on 9th February 1945. Aged 26. 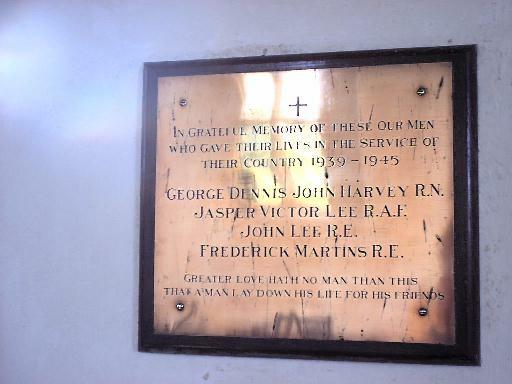 Son of Henry Edward and Henrietta Martins; husband of Vera Martins, of Norwich. Buried: Yokohama War Cemetery, Japan. Ref. Brit. Sec. H. D. 7. 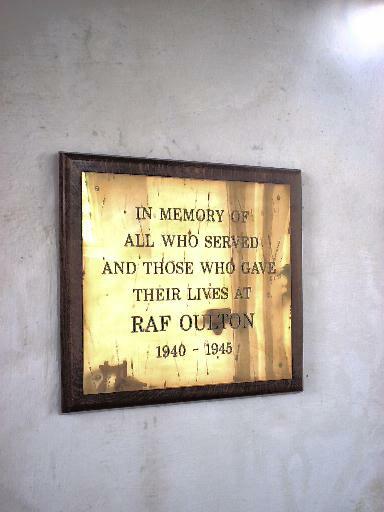 RAF Oulton was a Bomber Command Aerodrome during the Second World War, and also was home to 803rd Bombardment Squadron, 8th USAAF. 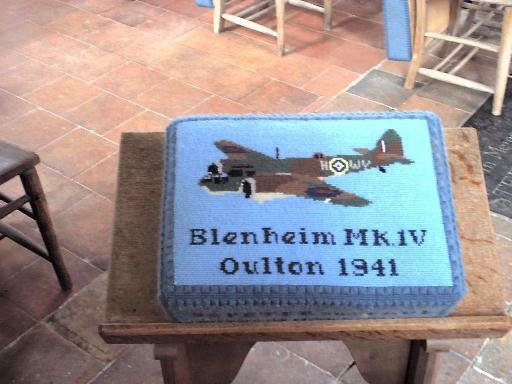 Among the many beautifully worked kneelers in the church, there is one with the badge of RAF Bomber Command, and another with a Mk IV Blenheim. 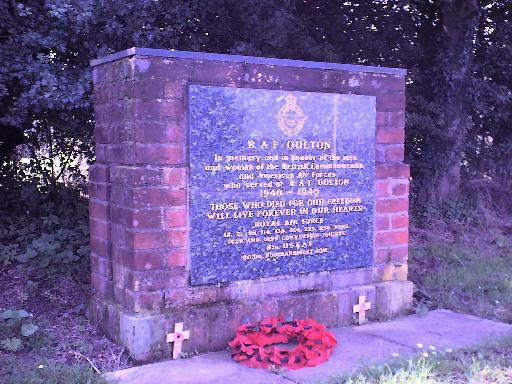 A short distance away by the side of the old aerodrome, is a memorial to all those who served at RAF Oulton. 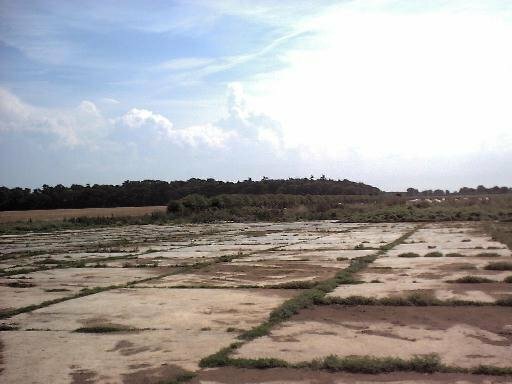 There is very little left to see of the old aerodrome apart from some concrete runways and a few building and hangers given over to agricultural and industrial use.